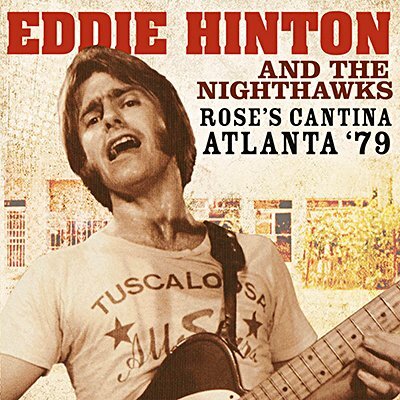 Gracing the stage at Atlanta's legendary Rose's Cantina, is the even more legendary Nighthawks with guesting member Eddie Hinton. Prepare for a pumped up soul and R&B extravaganza with broken strings and a killer set! Tonight, it's all about adrenaline and pure soul, down to the bone. Considered by many to be the world's best blue-eyed soul singer, Eddie Hinton may have written, produced, arranged or played on one of your favourite records. His guitar is heard on albums by Elvis Presley, Aretha Franklin, Bobby Womack, Dusty Springfield and countless other iconic greats and while you may not know him by name, you won't forget his contribution to music. Echoes proudly presents the entire original WLIR-FM broadcast of Eddie Hinton with The Nighthawks live from Rose's Cantina, Atlanta, Georgia in 1979.